My mother lost her words to dementia. 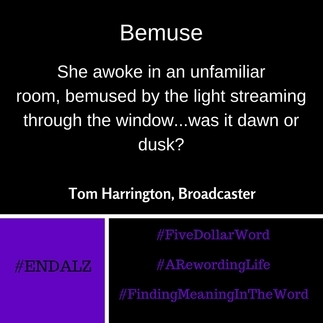 I want to harness words that addle my mind to help put the end in #demENDtia. In doing so, I'm hoping to find meaning in the word . . . and the world at large. To donate and/or see how much money has been raised to date, click button below.